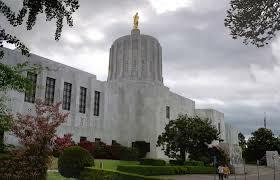 SO NOW, IN OREGON IT IS LEGAL FOR A NURSE, ON HER OWN INITIATIVE, TO PULL THE PLUG ON A PATIENT AND CAUSE DEATH. IS YOUR STATE NEXT? THANK GOD WE HAVE TEXAS RIGHT TO LIFE IN TEXAS TO FIGHT FOR US, OUR BISHOPS ARE NO HELP. A small handful of states, including Oregon, authorize an attending physician to make healthcare decisions on behalf of an incapacitated patient when there is no available surrogate. This approach is insufficiently protective of the patient’s interests. So, now the decision is not only left to a single clinician but also that clinician does not even need to be a physician. 2 Responses to SO NOW, IN OREGON IT IS LEGAL FOR A NURSE, ON HER OWN INITIATIVE, TO PULL THE PLUG ON A PATIENT AND CAUSE DEATH. IS YOUR STATE NEXT? THANK GOD WE HAVE TEXAS RIGHT TO LIFE IN TEXAS TO FIGHT FOR US, OUR BISHOPS ARE NO HELP. We need to resist the nurses who do this. Get them arrested using federal laws under the Trump administration. Cuff ‘em up. Killing is illegal and then of course they will get a fair trial etc but must take action!